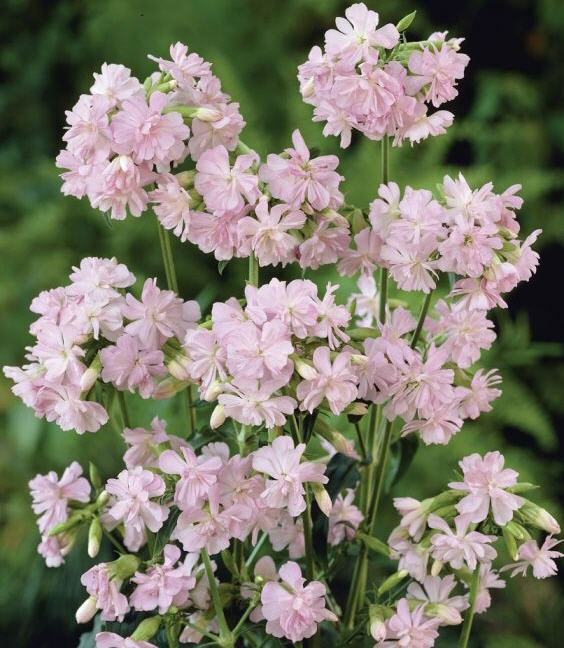 It is really too invasive for the choice border, but it remains a charming cottage garden plant. The erect stems bear lance-shaped leaves and in summer a terminal cluster of flowers. It is completely trouble-free – merely out down the stems to ground level in the fall. 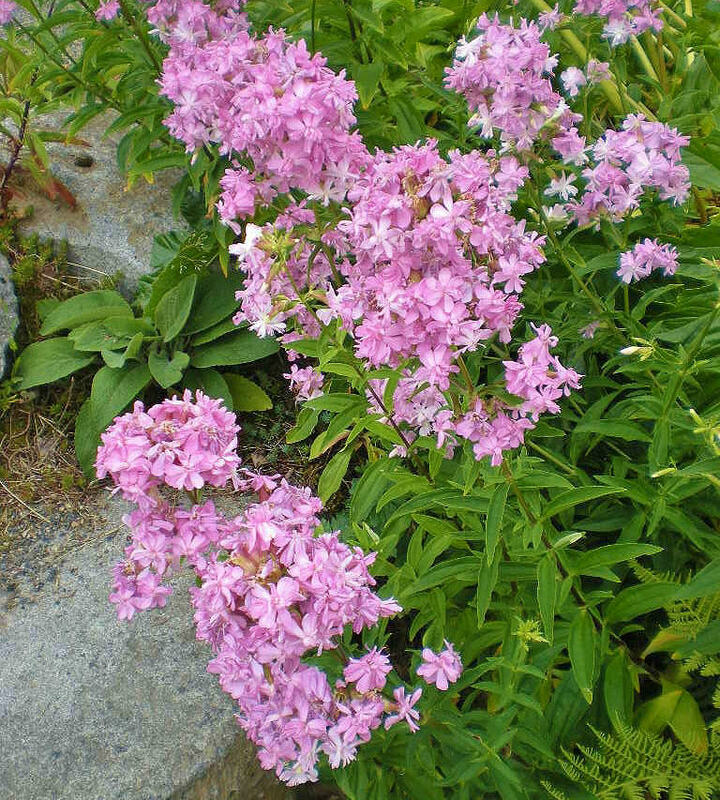 Thespecies grown in gardens is Saponaria officinalis (height2-3 FT, spacing 2 ft, flowering period JuIy – September). The pink single- flowered species is one of our native flowers, found wild in hedges and woodland, as well as being a popular plant in cottage gardens, but it has now been largely superseded by the double-flowering varieties – ‘Rosea Plena’ (pink), ‘Rubra Plena’ (red) and ‘Alba Plena’ (white). Any reasonable garden soil will do — thrives in sun or light shade. 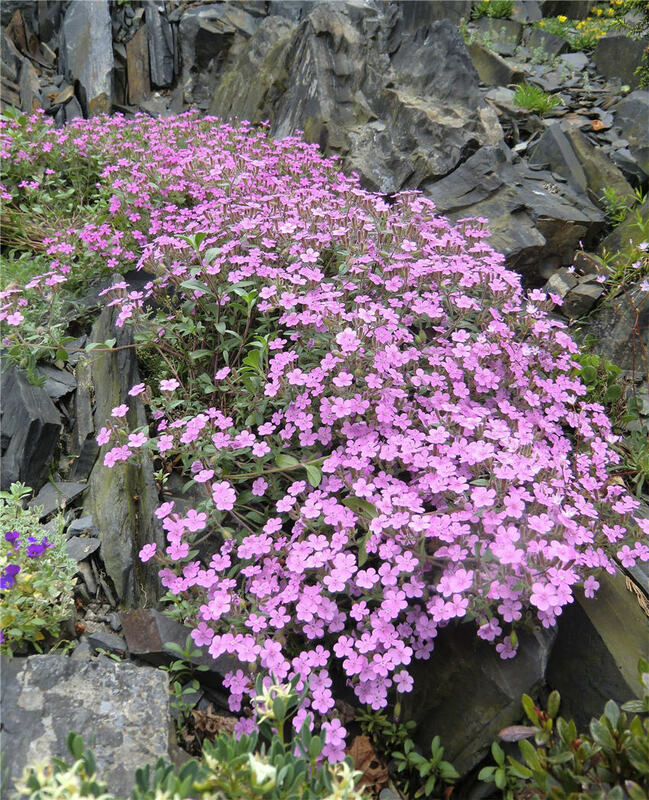 Divide clumps in fall or spring.